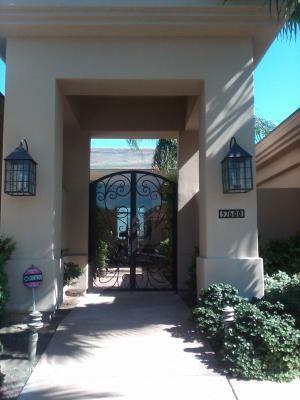 Signature Iron Doors builds the highest quality Iron gates and Iron Doors in Southern California! Check out this gate that we built for a clients courtyard! They wanted the old world iron feel that only comes from wrought iron, but at the same time wanted a little extra privacy. The solution was to install bronze glass to create a solid feel without distracting from the beautiful scroll pattern. Visit our website today!!! !